Applications include placement under motorcycles and cars when parked in the garage or bench top repairs for transmissions, small engines or any project that can cause an oily mess. 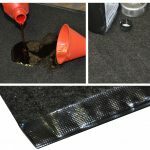 The oil rug is designed with completely sealed and welded edges and will hold up to 450gms of oil without leaking before requiring disposal. A plastic disposal bag is included with each DEI Oil Rug. Small – Part #010750 (12″ x 18″), 30 x 45cms approx. Medium – Part #010751 (18″ x 24″) 45 x 60cms approx. Large – Part #010752 (29″ x 48″). 74 x 122cms approx. For more information about DEI’s full line of safety products, visit DesignEngineering.com. 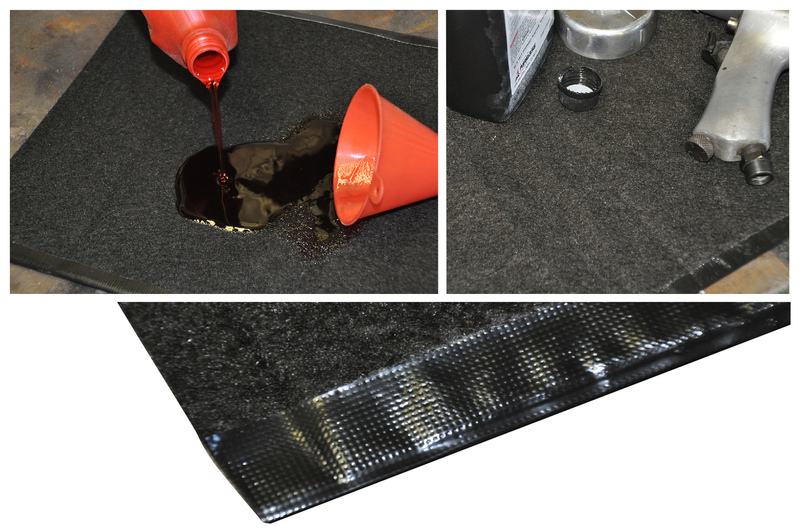 In the UK a Europe DEI Oil Rug can be ordered from www.Demon-Tweeks.com or www.nimbusmotorsport.com ENDS. Print article This entry was posted by admin on April 4, 2019 at 6:31 pm, and is filed under News. Follow any responses to this post through RSS 2.0. Both comments and pings are currently closed.